Southeast Asia. 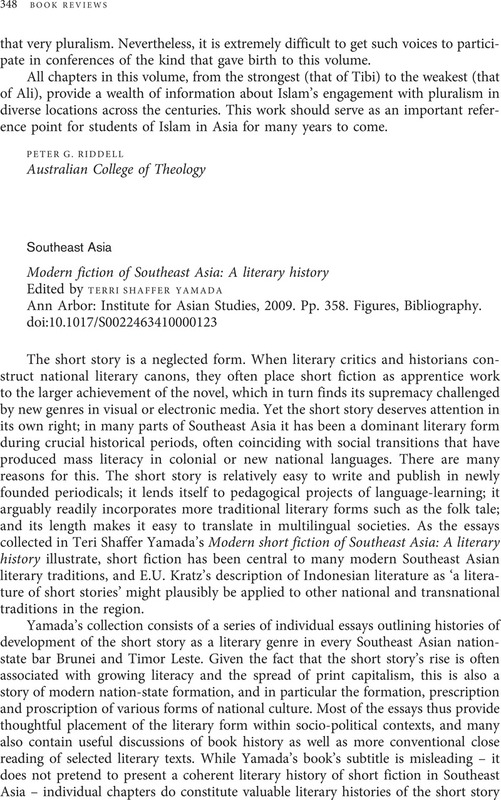 Modern fiction of Southeast Asia: A literary history. Edited by Terri Shaffer Yamada. Ann Arbor: Institute for Asian Studies, 2009. Pp. 358. Figures, Bibliography.